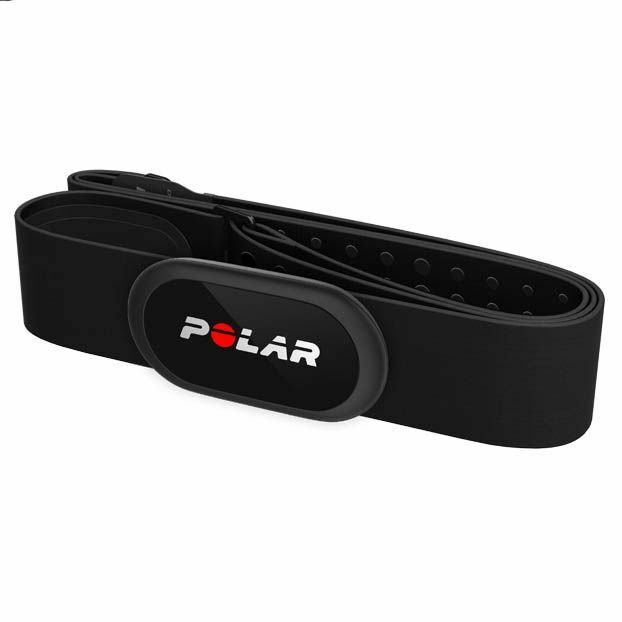 The Polar H10 heart rate chest strap sensor provides highly accurate heart rate measurement to help you achieve your goals faster and offers a comfortable fit and excellent skin contact thanks to the soft and lightweight Polar Pro strap with a secure buckle. The device is suitable for swimming (5 kHz transmission frequency), works with all Bluetooth compatible Polar watches and trackers and lets you turn your smartphone into a personal trainer due to compatible Polar Beat fitness and training app. The sensor has built-in memory to store one hour of HR data that can be downloaded to Polar Beat app after each workout. Plus, it is water-resistant up to 30m (98.4ft) and ensures low energy consumption. Simply strap it around your chest and the H10 is ready for tracking your heart beat! for submitting product information about Polar H10 Heart Rate Chest Strap Sensor We aim to answer all questions within 2-3 days. for submitting product information about Polar H10 Heart Rate Chest Strap Sensor. We aim to answer all questions within 2-3 days. If you provided your name and email address, we will email you as soon as the answer is published. Connected first time and faultless since. for submitting product review about Polar H10 Heart Rate Chest Strap Sensor.